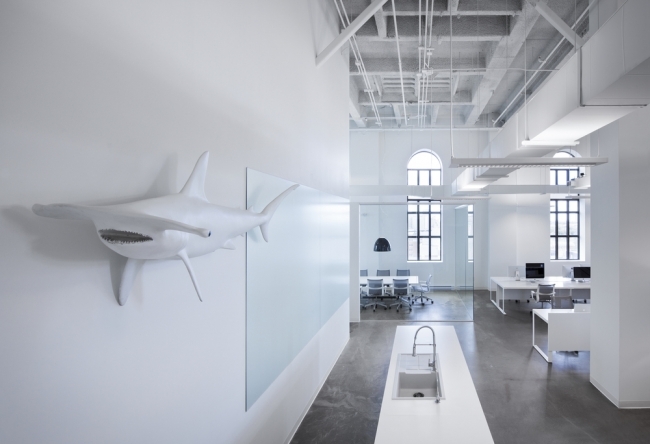 The task was to create a new office space for BLUE Communications, an interactive agency based in Montreal. Founded in 1998, the company specializes in web development, branding, content creation, ecommerce, social media, mobile apps and databases. Their 2750 sq.ft. 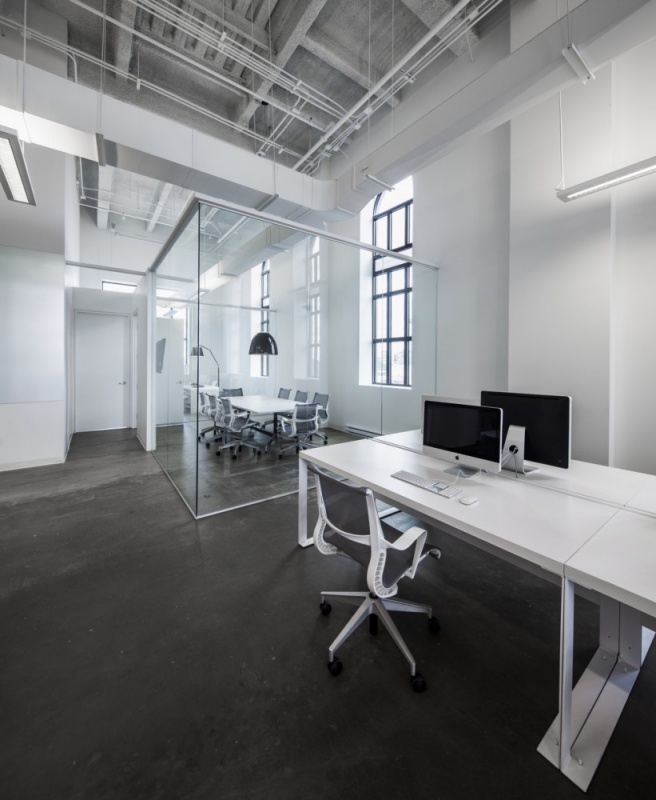 corporate space is located in Montreal, on the 8th floor of the Carrefour d’Innovation INGO, previously serving as the brewing tower of the famous Dow Brewery. The brief was to section off different work zones to create a stimulating and creative environment, initiating interaction and communication between the respective users. 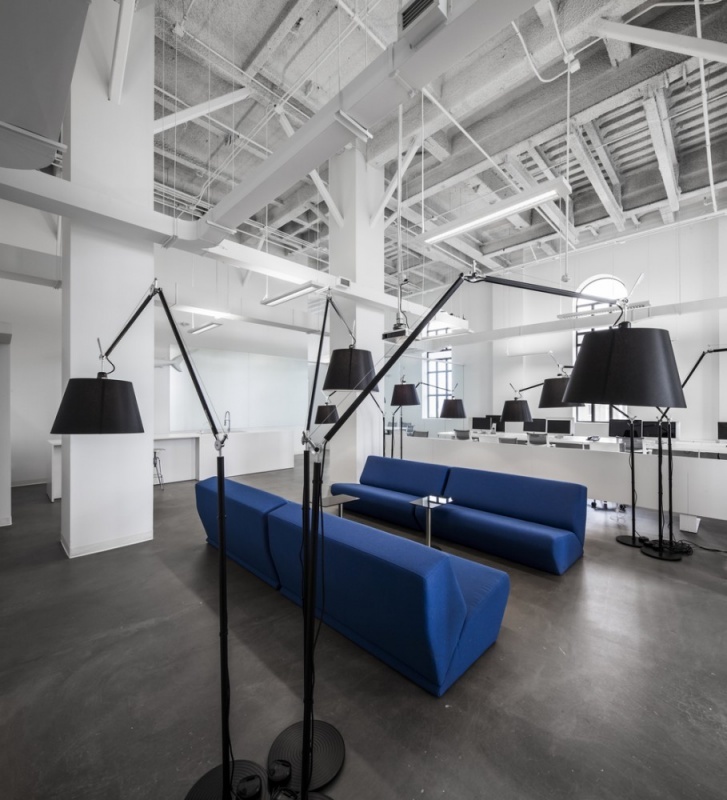 The overall open concept permits all employees to enjoy the climate of each area, along with the generous natural light and panoramic views provided by the building’s tall fenestration. The user’s experience begins upon entry, where one is transitioned via a compressed space. 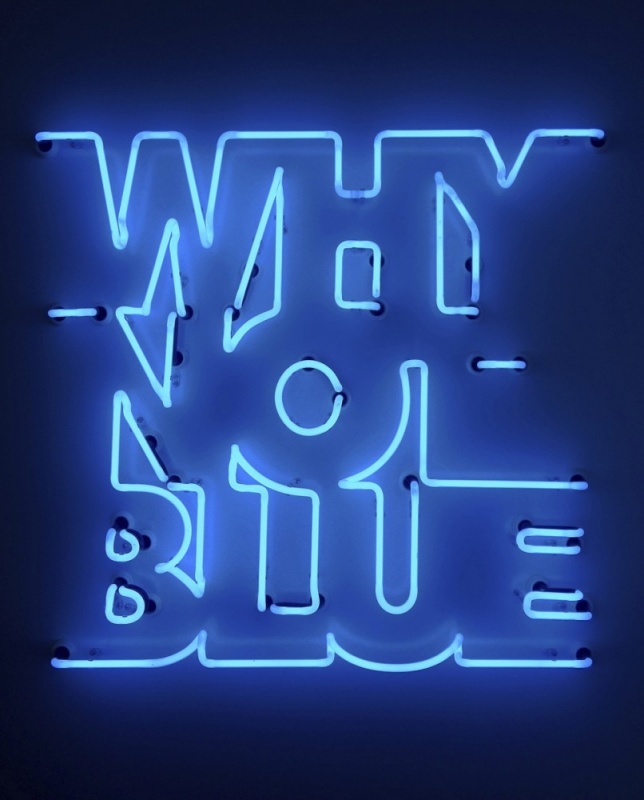 There, the neon light from the agency’s logo leaves a virtual imprint of its identity: B L U E. On the wall, a shark mannequin gives one the impression of floating in a sea of creativity and imagination. The principal concept was to wield expansive zones of living space in correspondence with the towering 30 ft. ceilings. The conference room is enveloped with high glass panels, thus allowing the box to float subtly into the space while conserving acoustic privacy. 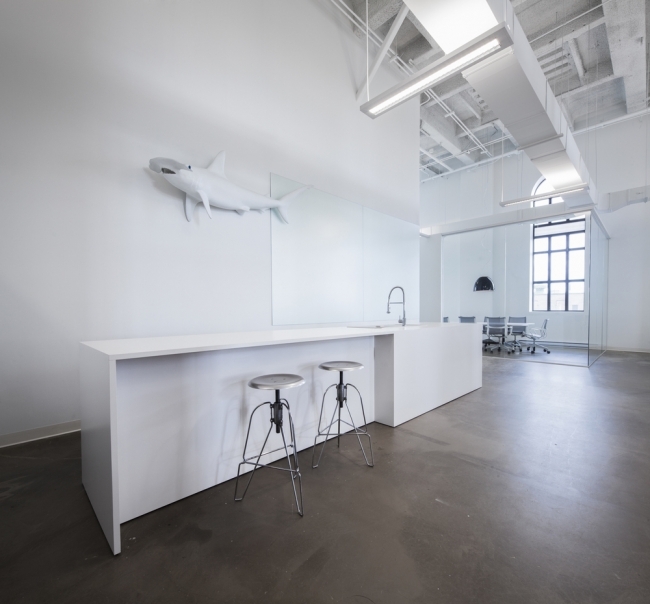 This room is the visual extension of the 36 ft. custom-designed communal table, the principal place of assembly for the office. Adjacent to this area, a row of semi-private administrative offices is divided by a rhythm of white vertical panels. The laboratory-like kitchen space is expressed as a long rectangular object set in place. Finally, the lounge is the spatial epicenter of the office, an informal congregation area where the work zones converge. Office Size: 2750 sq. ft.